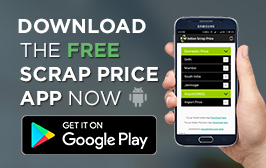 Scrap News - Ferrous Scrap Export at Standstill! 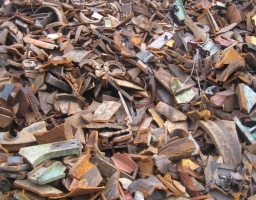 Home > Metal News > Ferrous Scrap Export at Standstill! After a steady increase in the past few weeks once again we get to hear about “Market uncertainty”. But this time it is caused by the Chinese billet price fluctuations, which has led to the retreat of major U.S. ferrous scrap customers on each coast and the souring of near-term market sentiment ahead of June’s domestic settlement. The absence of cargoes has motivated docks to lower prices, as they expect the next round of bulk export sales to be conducted at less than $300 per tonne. The U.S. ferrous scrap bulk export mart remains at a standstill without any confirmed cargoes off either coast. Turkish buyers remain conspicuously absent from the international market for the third consecutive week. 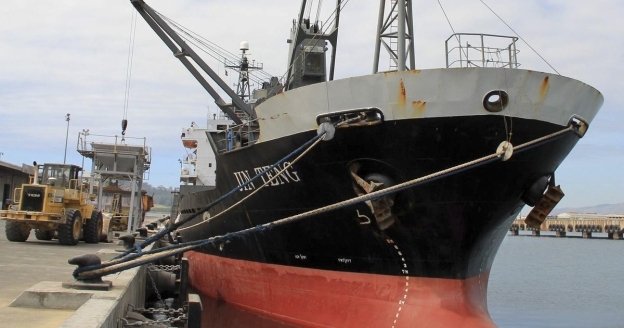 They have not purchased a single bulk cargo since the $330-per-tonne deal struck May 4 and buyers appear to be biding their time as they adopt watch & wait policy. Chinese billet prices tumbled to 1,900 yuan ($290) May 25, down from 2,060 yuan ($314) per tonne ex-works a week ago. CIS billet prices also fell $45 to $50 per tonne to $340 to $360 per tonne f.o.b. May 23, according to sister publication Steel First. “The CIS has to move its billet (prices) to keep the Chinese (billets) from coming into Turkey,” a trader source said about the drastic drop in CIS billet prices. 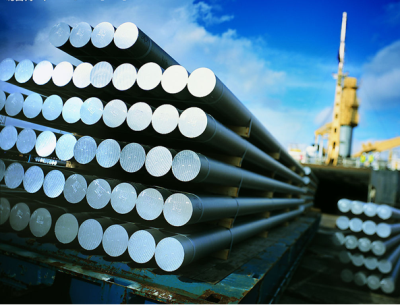 China’s alleged cancellation of billet shipments in a rising market remains a point of concern for Turkish buyers. “If they buy (Chinese billets) at the $300-per-tonne level, will it ever ship?” the trader asked. There are no indications when the next price-setting bulk cargo deal to Turkey is likely to take place. Some U.S. exporters are of the opinion that the $330-per-tonne deal was an anomaly and consider the $312.50-per-tonne sale from April 18 as the last “bona fide number.” The $330-per-tonne deal was for a prompt shipment because a mill needed the material. The below given graph portray export price from U.S.A to India as on 26th May 2016. A second trader source said that U.S. offers to Turkey were last heard in the $290- to $295-per-tonne range for an 80/20 mix of No. 1 and No. 2 heavy melting scrap. “But the Turks wanted $280,” the trader noted. Meanwhile, containerized 80/20 HMS steel scrap price slipped further on the West Coast. Deals were heard last week at $200 to $210 per tonne delivered to Taiwan, sources said, but market participants indicated that current offers range a little lower, at $190 to $200 per tonne delivered. “If (container prices) go down any more, (Taiwanese mills) are not going to get any scrap,” a West Coast exporter source said, adding that Taiwanese buyers have also adopted a wait-and-see approach, holding off until Chinese billet price fluctuations ebb. Sources said Taiwanese mills usually have about one month of material on the ground, and with the upcoming summer power rationing, they will be able to maintain their melting schedules even if Chinese billet orders do not arrive on schedule. Unsteady market conditions have triggered massive cuts in export yard buying prices nationwide this past week. Docks in Los Angeles and San Francisco have slashed tags by $20 to $110 and $130 per gross ton, respectively, for No. 1 heavy melt delivered in response to a $100-per-tonne drop in containerized 80/20 heavy melt prices. East Coast export yard buying prices are softening as well, as exporters shift tags for No. 1 HMS delivered down as much as $20 per ton, anticipating that the next cargo deal will likely fall below the $300-per-tonne level on an 80/20 heavy melt basis. The lack of market activity has left weekly East Coast ferrous scrap export index for heavy melt and shredded scrap sideways at $317 per tonne f.o.b. New York and $322 per tonne f.o.b New York, respectively. West Coast ferrous scrap export index for heavy melt is also unchanged at $219 per tonne f.o.b. Los Angeles.